Full course includes a professional Sable lettering brush, 12 days of fun and inspiring self-paced lessons, and 35 handy guidesheets to download and print. Barbara studied show card and ticket writing in 1967 and hasn’t put down her brushes since. 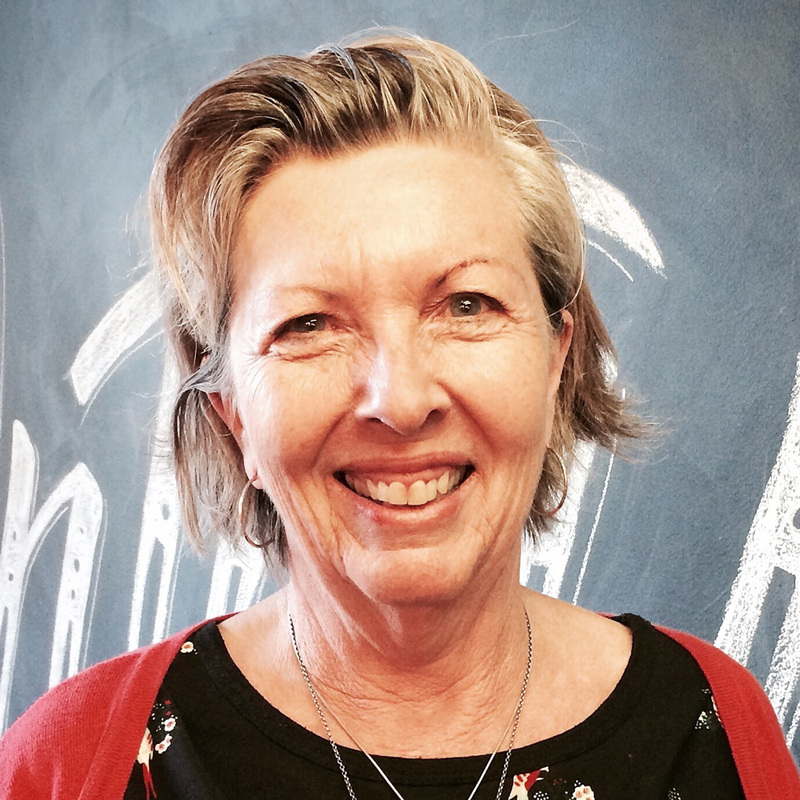 She has been a passionate lettering teacher throughout her career, was the first female president of the Sign Association of Australia, and ran a successful sign shop in Sydney for over two decades. Barbara has a relaxed and encouraging teaching style leaving students confident and inspired to practice. Carla creates lettering for a large range of clients out of her studio space in Melbourne. Carla turned from graphic designer to full-time letterer three years ago, and is now a passionate teacher and sharer of the craft of lettering. 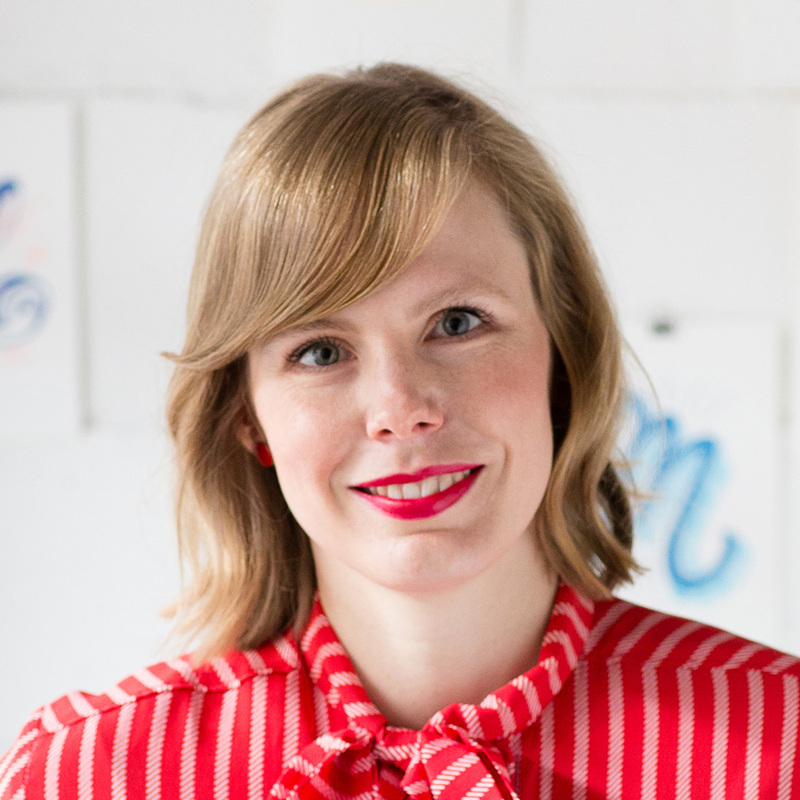 She has organised and taught many workshops with Barbara, making lots of new lettering friends along the way. I was thoroughly challenged, but pleased with my progress and really thankful to have the opportunity to learn from an experienced master like Barbara. Not only did I enjoy the therapeutic nature of sitting down to practice, but I have used my new found skills in my own creative business where I produce hand lettered cards and calendars. I have been interested in lettering, purely for my own pleasure, for a long time. Everything is done at your own pace and the lessons are clear and easy to follow. 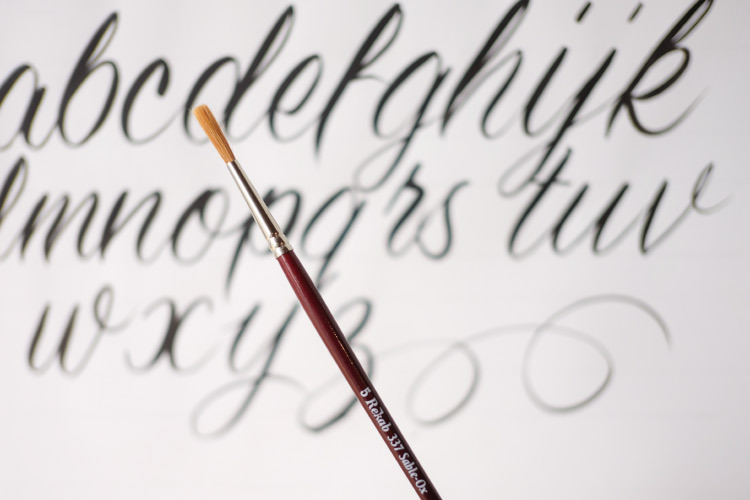 Carla and Barbara are so warm and passionate and their enthusiasm is infectious - how could you not fall in love with brush lettering? It is wonderful to see the work of these two very skilled letterers and I have no doubt that the course has given me all the tools and tips I need to get to their level. I am a complete novice and have a lot of practice ahead of me but I am thrilled at what I have been able to achieve so far with their ongoing support and encouragement. I’m still loving everything about Learn Brush Lettering! I am thoroughly enjoying the Learn Brush Lettering Course that my best friend bought for my birthday. I don’t have any background in art or lettering, but I do love beautiful things. I’m a busy mum and I love that I can do the course in my own time, when my daughter is at school or asleep. It frees my mind and I find it quite therapeutic, relaxing and fulfilling. The video tutorials are easy to follow and it’s so beautiful to watch Carla and Barbara work their magic. It’s a joy to sit down with my brush and learn from Carla and Barbara. I’m a complete beginner and am taking my time to work through the lessons. The training is very enjoyable and I’ve seen my own skills improve with practice. Carla and Barbara are natural and enthusiastic in the videos. 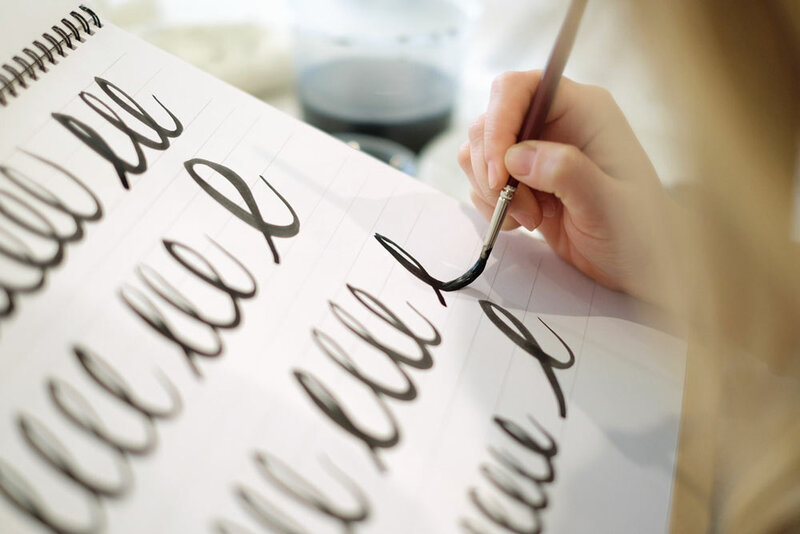 It’s lovely to watch them work, their lettering is beautiful and it’s clear they both love what they do. It’s a great way to learn how to make something of beauty and have a lovely experience while doing it. I’ve never used a brush before and I’m just getting into lettering, is this course for me? That’s ok! This is for complete beginners, no experience necessary. We’ll be starting with the very basic strokes, before even starting to paint words. Will I always have access to the videos or is it just for a limited time? When the course launches you will receive your own account login that gives you immediate access to all the videos and content indefinitely. You can work your way though the course in your own time and come back any time to pick up where you left off. How much time will have to dedicate to learning? We recommend you watch a lesson a day (12 days), allocating at least an hour to practicing what you just learnt. Once you have completed all the lessons, you will need to sit down to practice at least 20 minutes a day to see improvement. We know life gets in the way sometimes, so even picking the brush up for 10 minutes all counts as practice! You get your very own lettering brush posted out to you. The only other materials you need to get set up aren’t too expensive – a t-square for pulling up guidelines, a pencil & eraser, some acrylic paint and an A3 visual art diary from your local art shop. Once you are feeling confident, you may like to expand your kit with a few other size brushes and a longer hair brush for script work and flourishing. Do you use brush pen markers in this course? No, we solely focus on using a natural hair lettering brush so that we can achieve versatility in our lettering styles. In saying that, these new skills you learn will help your lettering so that you can experiment with whatever tools you like. How do I watch the lessons and download the PDF worksheets? 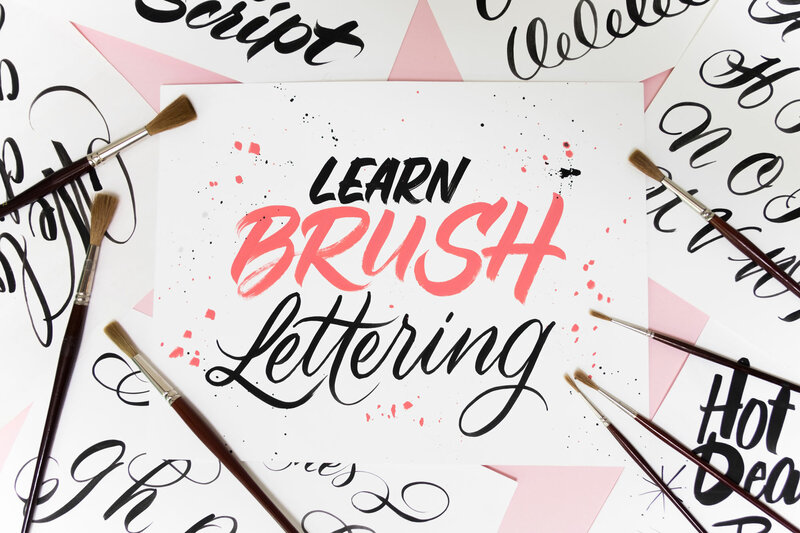 You will be able to login to your account at learnbrushlettering.com on any device to see where you are up to in the program and see the videos available to watch. There will be a link to download the accompanying PDF handout that will have exemplars done by Barbara’s brush. How long until I am really good at this? Barbara is amazing to watch demonstrate her skills. To put things in perspective, Barbara has been lettering for nearly 45 years! That’s a lot of brush mileage. Carla has been lettering for 3 years, and has a dedicated practice as a full time letterer. It really depends how much you want to put it to learning. Our motto is Practice, Patience and Perseverance. Basically, you get out what you put in! We hope that you find your practice very therapeutic and you can’t put the brush down! I’m left handed and smudge everywhere, should I attempt this course? You will be glad to hear that both Carla and Barbara are left handed! They believe it’s actually a secret advantage. So please don’t be discouraged, lefties can create beautiful lettering, you just need to be shown how. After watching all the videos, I am really struggling with picking up how this brush lettering thing works. We have a private Facebook community where Barbara and Carla will be actively chatting with students to give feedback and advice to the work that you upload. You can share your struggles and questions with other students also. Along the way, we will be conducting Google Hangouts so you can ask detailed questions and see further demos, and you can also contact us via chat support when you’re logged in to the academy.